Different insulation will work best for different jobs, but there’s one product that has proven itself consistently on every job where I’ve used it: closed-cell spray foam. For me, there’s nothing better. It does what good insulation is supposed to do. When we talk about spray foam, there’s open-cell and closed-cell. Open-cell means the tiny foam cells aren’t completely closed — you can crush open-cell spray foam in your hands. But with the closed variety, the tiny foam cells are closed and tightly packed together. This makes the spray foam denser — it’s rock solid — and increases its R-value (resistance to heat loss). This also makes closed-cell spray foam more expensive than open-cell, but the former ends up paying for itself, so it’s worth the investment. Still, the choice is ultimately up to the homeowner. 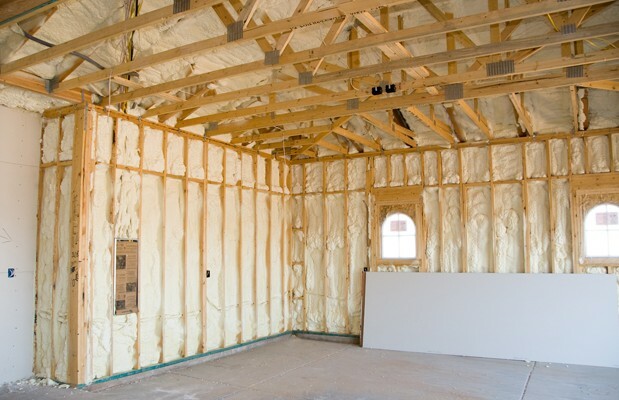 Closed-cell spray foam gives you energy savings by protecting your home from heat loss — that’s huge. It creates a complete thermal break in the building envelope. So if your basement is normally cool in the summer, it won’t be if it has spray foam, which stops heat loss even when it’s hot outside. It doesn’t let heat come in or out and it helps keep your entire home cool with minimal air conditioning. It needs to be applied by a specialized installer. Cutting corners leads to major risks. Trust only the pros. 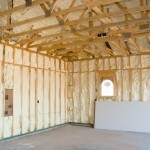 What makes spray foam so effective? It controls moisture — that’s the big one. Forty per cent of heat loss is due to air movement, but the other 60 per cent is related to moisture. Heat moves with moisture. The warmer the air, the more moisture it can hold. Cold air means less moisture, which is why your hands and lips get dry in the winter when you go outside. But spray foam creates a barrier to stop moisture movement, which helps stop heat loss. Spray foam is also inorganic, which prevents mould growth. It doesn’t absorb moisture so it won’t compress and lose its R-value. You don’t have to worry about it sagging in your walls and leaving open spaces the way batt insulation can. It has its own vapour barrier and it isn’t harmful to your indoor air quality once it is cured. Even the best systems will not work if they aren’t installed properly. Spray foam is no exception. Who’s a pro? A Foam Master. These are professionals who are certified and approved spray-foam installers. When you hire a Foam Master you know the job will be done right the first time. Spray foam is an expensive product so you don’t want to pay for a bad job. Let me give a scenario. I was working on a house that had been retrofitted with spray foam. That means spray-foam installers came to the house years after it was constructed to install spray foam. So, instead of having open walls to install the spray foam in, everything had been drywalled over. The original spray foam company that came in to quote the job — who also happened to be the pros I use — recommended taking the plaster down, re-studding the walls and then installing the spray foam. The homeowners decided that option was too expensive. They went with a retrofit in which holes were drilled along their walls — in random places — and then filled with open-cell spray foam. When a home is retrofitted with spray foam this way, all you can do is hope that the cavities get filled. Usually, this doesn’t work. In fact, it rarely works. What you end up with is a lot of voids and plenty of cold spots. Yes, it was only a fraction of the original quote, but it was a total waste of money. The damage done to their home left them no choice but to call me. And the worst part was the foam they used contained urea formaldehyde. Urea formaldehyde foam insulation (UFFI) has been banned in Canada since 1980 because it releases formaldehyde gas into the air over time as it cures. When you’re renovating a house, you get only one shot to do it right. It’s better to know you’re getting a good job than to hope you are. By removing the drywall and plaster, you can get the spray foam into that crucial space between the exterior wall and the wood stud. Energy costs are increasing every single day. 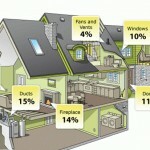 If you want your home to be energy efficient, proper insulation installed the right way is the way to go. It pays for itself. Not many things in the home do. Catch Mike Holmes in his new series, Holmes Makes It Right, Tuesdays at 9 p.m. on HGTV. For more information, visit hgtv.ca . For more information on home renovations, visit makeitright.ca .